Fitness enthusiast using oils to maximize my potential! An active person all my life, I began dealing with knee issues in my mid-late 20s and in 2014 I decided to look into ‘alternative’ medicines for complete healing v. masking the pain with OTC meds. 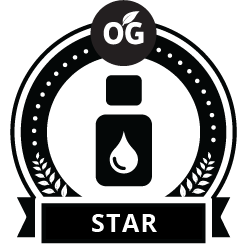 Over the course of several months of researching essential oils, various brands available, accessibility in stores v. online, and how to use them, I was convinced that Young Living was the best choice knowing I needed more than mere good-smelling oils. YL’s Seed to Seal standards for purity were unlike anything else I came across. After a few months of using YL’s products regularly, I was not only enjoying painless running again, but participating in races (including the world’s largest 10k), lifting weights, and picking up dance again. YL is a big part of my overall health and wellness routine now. How can I help you get there too? Want to learn more? Contact Taylor Moore — A Atlanta Young Living essential oils distributor.